I would therefore like us to focus on Paul’s message here in the context of our baptism. In baptism, we are granted admission into the Church. In baptism, we are justified by faith, made righteous before God, and become part of the New Covenant of God’s Kingdom. In baptism, we become Orthodox Christians. This much, I think, is familiar to most of us. We have a sense that baptism is a new beginning, a beginning of our membership in the Church. Now, we can of course say that this means that Christ is given to us as a gift, that we can be saved as a result of the process begun at baptism. And that is true and should be obvious. And I don’t think that that emphasis has been lost too badly, at least not for those whose membership in the Church actually means something to them after the day of their baptism. But there is something else here that Paul means by “the gift of Christ.” There is something that we receive in baptism that is more than our entrance into the Church or something starting us on the path to salvation. So what’s going on here? In order for us to understand what Paul will say next in this passage from Ephesians 4, we have to have a little historical background for our current cultural moment and how we understand what it means to be part of a church. 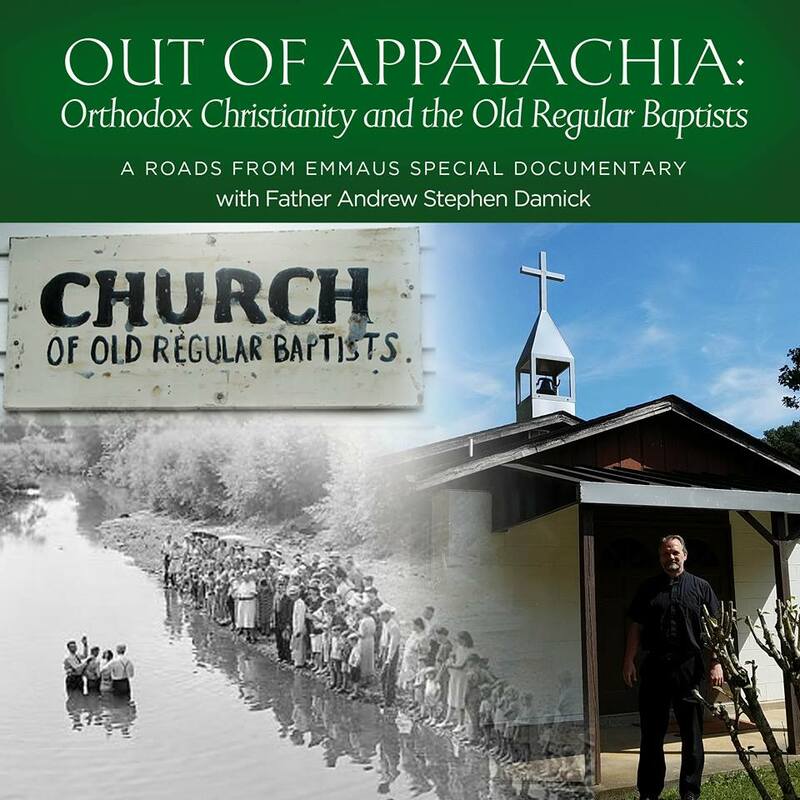 Part of why we have a tough time fleshing out what it means for us to be baptized is because of a movement that began among Lutherans in late seventeenth century Germany. Stick with me here, because this is important. That movement among Lutherans was called Pietism, and its purpose was to try to refocus people on their personal commitment to the Christian life. Sounds pretty good so far, right? There was a problem, though, in how the Pietists went about getting people to renew their personal commitment to Christ. So what did they do? Pietists emphasized that what mattered the most was your own private connection to God, that you were sincere and that you lived a good moral life. What doctrine you believed or which church you belonged to didn’t really matter. The Pietists organized private Bible studies, encouraged independent governance of congregations, and praised preaching that focused on the inner life of the believer. And because these were their emphases, at the same time, they de-emphasized the sense of mutual responsibility that believers had for each other, the sense that local parish life was connected to a larger church beyond the parish, and that salvation was something that was not just a private arrangement between the believer and God. In short, they made religion primarily a private matter. Pietism spread quickly beyond the Lutherans and came to be a cross-denominational movement. Throughout Western Europe, numerous Christian churches adopted this sense of true religion, that doctrine didn’t matter, education didn’t matter, church membership didn’t matter—what mattered was that you and God were on good terms. Eventually, this sensibility about what Christianity should be made it here to America, too, and I think it is fair to say that this is now how most people tend to think of what it means to be a Christian—no matter what church they belong to or even if they belong to no church at all. Ultimately, it’s a private matter between you and God. Attending church is good, of course, but one does it to serve one’s own personal spiritual “needs.” And if those “needs” are not being served satisfactorily, one can of course always change or just stop participating. Okay, so let’s get back to Paul and what he says about “the gift of Christ.” We can now see that, if we view his words through the lens of Pietism, then the gift of Christ is given for me and my spiritual needs. I am baptized into the Church and do things in the Church to serve that aim. But Paul absolutely does not leave it there. He won’t let us interpret this gift in Pietistic terms. He has something much bigger in mind. What Paul has in mind is truly Church. For Paul, Christianity is not about one’s private path to salvation. No, it’s about the baptized functioning together as the Church, and in that mutual edification we are all saved together. “When He ascended up on high, He led captivity captive, and gave gifts to men…” And He gave some to be apostles; and some, prophets; and some, evangelists; and some, pastors and teachers, for the perfecting of the saints, for the work of ministry, for building up the Body of Christ. Until we all arrive! That’s right. We are in this together. We are variously called to be apostles, prophets, evangelists, pastors and teachers, for the perfecting of the saints. We are all called to the work of ministry. The gift of Christ in baptism and in all the sacramental life of the Church equips us for this work of perfecting each other, for the work of the ministry. The true Christian is not a religious “consumer” who comes here to “get” something out of church. The true Christian is an apostle, a prophet, an evangelist, a pastor or a teacher—maybe some combination of more than one of those—a worker of ministry who is baptized into Christ in order to work together for the perfecting of the saints. If you think that Christian life is about your own private path, that you don’t have a critical responsibility to other Christians to help perfect them in every way through your own ministry, then you have perhaps unknowingly submitted yourself to a 350-year-old movement begun by a Lutheran pastor in Germany who thought people talked too much about doctrine. And we have to get over this clericalist idea that we have a few “religious professionals” whose job it is to serve, to pastor, to educate, and to heal. Clericalism is the natural outgrowth of Pietism—if Christian life is about my private path to God, then I don’t have a duty to be a “professional” in the Church. I just look to be served by the handful of necessary “professionals” we keep around to get the job done. But this is wrong. Yes, we all have different roles, but if you think that you have to wear a cassock or a collar in order to be a true servant of the Church, then you’ve got it wrong. In his list of different roles in the Church, does Paul list “ordinary Christian” in there somewhere? No, everyone is an active servant in the Church. Everyone is here to help equip and perfect one another. In this regard, most of our parishes here in America are so very weak. Most of our parishes are Pietist in their basic feeling and clericalist in their operation. The average parishioner does not see himself as one whose job it is to help perfect the rest. The average parishioner does not believe that he is supposed to be an educator, a helper, and a healer. Part of our great calling is that we as Christians are, like Israel of old, a whole nation of priests. Not all are presbyters, to be sure, but all are priests. Where you are now gathered architecturally corresponds to the part of the ancient Jewish temple that was the Court of the Priests. Only priests enter and serve here in this holy place. We have all been given the gift of Christ. We are all called—every one of us, with no exceptions—to build up the Body of Christ. The irony of the Pietist movement is that, as it began to dissolve the bonds of churchliness that had existed for so many centuries, it also began to dismantle the true fulfillment of the Christian life. The very things that it aimed at—personal commitment and sincerity and fulfillment—were being undermined by the dissolution of the sense that what it meant to be a Christian was communal. Our faith is indeed personal, but it is not private. And there is nothing more personal than when persons are in communion with one another. Your words, Father, are much needed. I have found pietism sneaking into many a dark corner of parish life, and the result is invariably a myopic and artificial sense of self among parishioners, both as regards their own individual Orthodox Christian existence and their expectations of clergy and how the church should function. Of course, I have seen this tendency in clergy as well. Ironically, it tends to focus much on the interiority of experience while clinging to certain outward expectations of behavior and personal conduct as they nourish this self-concept, e.g. it becomes a scandal if the priest is clean shaven or – God forbid – there are pews in the nave. Referring to non-Orthodox writers in homilies even starts to seem edgy – like a good evangelical who listens to “secular music,” smokes cigarettes, and listens to Bob Dylan (I admit, I speak from my own experience here). That said, it seems that pietism creeps in whenever we allow ourselves to be defined by types (Good Orthodox do this, and not that, etc.) The self-identification becomes all in all. I have always thought of pietism as deism with a Christian veneer. At least one possible antidote would be to start making a practical contribution to your own parish – this gets us out of our head, at least. Get out of the icon corner and into the Sunday school room, or bake prosphora, join the cliros, make food for coffee hour, just be Orthodox, without trying to “be” anything else – without, of course, sacrificing those true and authentic expressions of Orthodox piety as it flows from the heart. Otherwise, reducing the Orthodox life to types of identity or expression, we are left with nothing but pharisaism. “Personal but not private”–yes! Thank you. Father, which translation are you quoting Ephesians 4:7 from? It seems to leave out χαρις from the Greek. I’m using the Apostolos of the Antiochian Archdiocese of North America. But it seems that as I was typing, I made an error in copying the text. Thanks for pointing that out. I’ve fixed it in my text. Here’s my take – everyone on the planet is a teacher, a healer, a priest – whether they know it or not – if we could view all of humanity as having the potential to be these things and recognize that many already are and if only we could value each individual as such, not just those individuals who serve humanity through the context of the “church” or identify with Church labels – religion is so exclusive – forgive me for saying that. I think we would have a better concept of each other and our Creator. To not not acknowledge those who don’t profess to follow God or Jesus or anything “religious” – doesn’t mean they don’t have the means to help to perfect another human being- sorry for not indulging the “Jesus” portion of this (I don’t think Jesus has an “ego” problem – I will leave it to Him to know what to recognize in the human heart and soul). I see Jesus and God and Holy Spirit as the source of the greater whole of existence- but they are names to identify this source of life – they and their respective labels resonate with me – not everyone relates to these names as such. Without the labels – all the things that encompass the greatness of God (which really cannot be wholly definable) are open to all who have the spark of “life and love” in their hearts – for we are all – every human being – no matter where they are on the walk of life, are objects of God’s creativity and handiwork – in so much as they may not always reflect this, that potential is there and I believe that potential will be “read and acknowledged” by God without them maybe ever making a conscious effort to become part of the “Church” or any religious group for that matter. Many people love because it’s in them to give because they were created by God in the first place – all of humanity is under the compulsion to grow and evolve and eventually be drawn back into the fold of God – no matter what journey they take – life experience is set up so they will be drawn to it – eventually. Just because we don’t see it on the outside, doesn’t mean the “work of God” isn’t going on in the inside. However that being said, those who are akin to being part of groups that profess faith and want to participate publicly can join a church if that encourages their spiritual growth and the spiritual growth of others around them – if it helps to “perfect” all in their group. I am not saying being part of a church is for nought – any collective group of like minded people with similar goals and aspirations that want to do good will have an “Godly” impact on their families and communities. But not everyone identifies, relates or desires to be part of the Christian or Catholic Church – Christian liturgy and doctrine for whatever reason may not resonate with them for whatever reason – but to think that God or Jesus can not recognize the divine within these people who do not profess faith is also erroneous and really not fair – at least in my opinion – and what ever spiritual path they take and if it bears an” edifying type” of fruit not only for them but their families and communities counts just as much as any effort put forth by a believer of Christ. Just my 2 cents worth 🙂 Why does the Church feel it is the only vessel to connect with the Divine? Pietism can be a practical thing then for those who are in that space at this moment – it may not always be like that for them though and we have to remember we are all individuals – so everyone has what I would consider their “own” spiritual zone – yet many are able to share and express it and many are not; this doesn’t mean it will be like that indefinitely for those that are not either – it is what it is for them for now – I wouldn’t conclude then this is “wrong” – it just is. I see all people on some form of trajectory – some who are more “aware” of a spiritual path and some who are not – but this is in “process” -we are all in “process” – everyone moves in some kind of direction – God has it more fine tuned than we could possibly know – at least that is I what I would like to believe – I am not concluding I am right in any way, I am just “open” to the many possibilities that could happen for each soul. Hi, Amanda. You’ve got a lot you’re saying here, and I can see where you’re coming from. But I think perhaps it might be useful to start a little “further back,” so to speak, and say that my sermon here is within the context of the belief that God revealed Himself in a historical moment as the incarnate God-man Jesus Christ–fully God and fully human. And that in that act, the Father, Son and Holy Spirit were revealed as Who God truly is. The rest proceeds from there–Jesus’ teachings, etc. If one does not believe that that actual revelation occurred, then of course it’s anyone’s best guess as to Who God is and what He wants. And of course, then, what resonates with one person is just as important as what resonates with someone else. In other words, there’s no problem with making how we feel about something the most important thing in life. From the Christian point of view, though, what’s most important is not how one feels about something but rather what is actually true, independent of our feelings. The challenge is to conform ourselves to the truth–a difficult task, but one well worth undertaking. Certainly, Orthodox Christians believe that every person has the potential you mention, and we believe that the only way to realize that potential in full is to receive the gift that God has offered in His Son Jesus Christ, the gift of communion and union with God possible because of the Incarnation. No one is left out of that offer. I read somewhere that St. Tikhon of Zadonsk admired and read the works of the German pietist Johann Arndt and drew heavily on Arndt’s “True Christianity” is his own devotional writings. Arndt sought to unpack the believer’s mystical union with Christ and emphasized the life of Christ *within* Christians as a corrective to the obsessive focus on the forensic aspect of Christ’s work *for* us. I would imagine an Orthodox could dig that. That said, you’re spot on that pietism degenerated (as movements so often do) into the kind of me – centeredness of so much American spirituality. Not surprising, really, as it had one foot in renaissance humanism and another in enlightenment rationalism. -On a personal note, I’m an Anglican priest who has who has been staring at Orthodoxy from the side of the dance floor for some years. I have greatly enjoyed and been challenged by your writings and podcasts. In particular, your piece on the Gospel in Orthodoxy was moving to me, as so much of what you find on the Internet is, in the words of Brad Nassif: “Orthodoxy, Orthodoxy, Orthodoxy!” and very little Gospel of Jesus Christ. Especially among a certain strain of converts, who display the very type of pietism you write about here. Thanks for offering your gift. Upon rereading my comment, I realize I was a bit unfair in my characterization of “a certain strain of converts.” The inwardly-focused, inordinately-zealous pietist streak is most certainly not limited to some converts to Orthodoxy, but to some who convert to the Reformed, Roman, and Pentecostal (and the Anglican “versions” of all three of these) traditions as well. As a guest in your “home,” I didn’t want to give the impression I was some anti-Orthodox troll taking pot shots on someone else’s blog. Lord knows there’s too much of that going around. Could this be one of the reasons so many have reduced their direct, face to face, one on one charitable activities and given them to the government to do? I hear so much support for government ‘Caesar’ programs. Where we are taxed so that the government can do what we as Christians should be doing ourselves. This at first seems to be a good thing. Group projects to help more people at a time. But is having Caesar grow bigger and richer taking a cut of those ‘charitable’ taxes really Christianity? It is too easy to hand over some of your money to the ‘Romans’ and then pat yourself on the back and declare you are doing Gods work. You declare are being responsible helping others. When in fact you are shirking responsibility and not working at all. Worst, you have put your faith in a false god. Handing over your gold to create a golden calf. A golden calf called Big Government. A government that supports abortion. How does a Christian excuse their support for something that advocates ending an innocent life for reasons as shallow as ‘the timing isn’t right’, ‘it will interfere with my job plans’? I do not see supporting government, handing over Christian responsibilities to it, as the ‘together’ that we were called to do. This is an excellent and insightful article. As a practical theologians who teaches in a seminary in Texas, I do have one reservation about the thrust of what’s said. That is, it strikes me that the emphasis on ecclesiology tends to overshadow a needed emphasis on eschatology, that is, an emphasis on the meaning of Reign of God. As I read scripture, while Jesus may have launched the church, he did not come primarily or first and foremost to perfect the church. In his life and death and resurrection, he inaugurated the Reign of God. Primarily he came to perfect society, not to perfect the church. When we over-emphasize the building up of the church, we lose sight of the generous share that God has given us in the building up of the Reign of God, which God’s arm alone will perfect. The mega-churches here in the Southwest region are too fixated on building up themselves, to the neglect of the pain and cries of the poor and oppressed, and the least and last of society. I don’t see that the article above has provided the necessary insight as to the grounds on which we move from building up the church to building up society. When we elevate concern for the church above concern for God’s activity in the world, symbolized as Reign of God, then the church has lost sight of its purpose. As missiologists today say, it’s not so much that the church has a mission; it’s that God’s own mission has a church. This needs to be the point of departure out of privatism and individualism. Ecclesiocentrism isn’t the answer. In Orthodoxy, there is no radical disjunction between building up the Church and extending the Kingdom of God. It is literally the same thing. The whole project is to bring all things into Christ. The Church is “the fullness of Him Who fills all in all.” Hard to see how there could be anything outside of that. My apologies for not proofreading my comment before posting; there are typos.